The Fashionable Housewife: We Found The World’s Most Convenient & Hygienic Drinking Bottle! 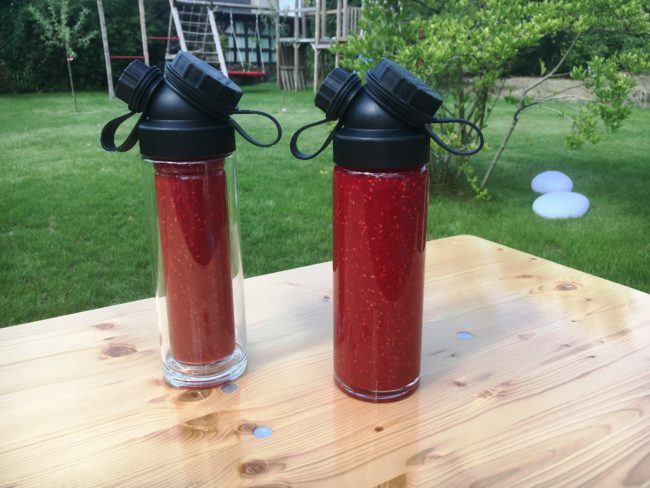 The Fashionable Housewife: Christian, in your normal, everyday life you work as a management consultant, so what is the story behind inventing a new kind of drinking bottle when there are so many at market already? Dr. Christian Kehlenbeck: Normally I am not at home during the week because I am working at the client site, but following an intense project, I took a break from working and became a househusband for almost two years. During this time I took responsibility for preparing food and drinking bottles early in the morning for my two girls, who were both at primary school at that time. I quickly became really frustrated with reusable water bottles that are currently available on the market. In my experience, all those reusable bottles have at least one major pain point: They are either really hard or next to impossible to clean thoroughly, not leak-proof when carrying in a bag, not easy to drink from without spilling, or almost impossible to get refilled under a tiny dispenser or certain faucets. It’s ridiculous! The Fashionable Housewife: I hear you! I have the same problem with all of the reusable water bottles I’ve tried. So what did you do? Wide mouth with fancy one push opening? No way, almost impossible to clean, mold will win at the end of the day. And I realized that the perfect, most convenient and hygienic drinking bottle needs both: A small AND a wide mouth. Hard to realize, but I did, by inventing the – international patent application filed – double necked cap, which is giving all the benefits! JuNiki’s cap design offers a smaller angled opening for spill-free sipping and another angled wide-mouth opening for easy refilling (also horizontally) or loading in larger items like ice cubes, fruits, or even wheatgrass! Plus JuNiki’s Double Neck is specially constructed for quick cleaning, offering an overall hygienic drinking bottle design that is free of blind spots that are impossible to clean and preventing mold and mildew build up. Finally – the first wide-mouth flask that you can carry in your bag without risk of flooding and yet drink from without any spills. As a result, I produced the first version of JuNiki’s for school children, made of Tritan by Eastman, available in Germany from beginning of this year. The Fashionable Housewife: And right now you are running a Kickstarter campaign for new types of water bottles that are geared for adults, right? Dr. Christian Kehlenbeck: Correct! Fashionable housewives around me identified the benefits of this new flask, and they did ask for bigger versions, not for their children but for themselves! They wanted to be able to take their own fresh and healthy drinks to the office or to the gym. They also asked for other materials than Tritan. Because of the benefits of having the double neck, this has been an easier task: Searching for the best wide mouth bottle bodies and adapting the cap to make it fit to the new materials. That’s it! 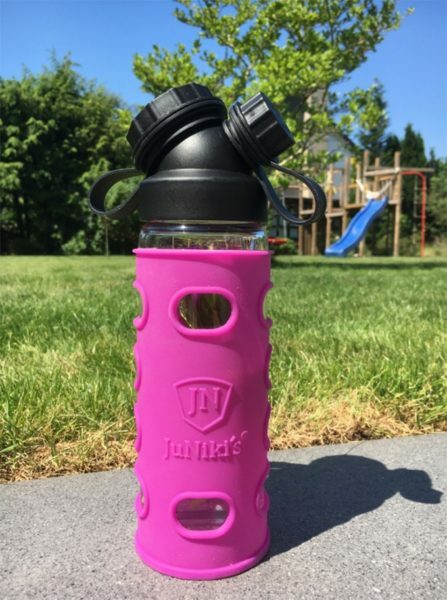 The new JuNiki’s bottles come in two food safe, BPA free materials, both types being absolutely leak-proof also with carbonated drinks: Vacuum-insulated 304 Pro-Grade Stainless Steel (18/32/64oz) & Borosilicate Glass with single-wall (18oz) and double-wall (11oz) design. 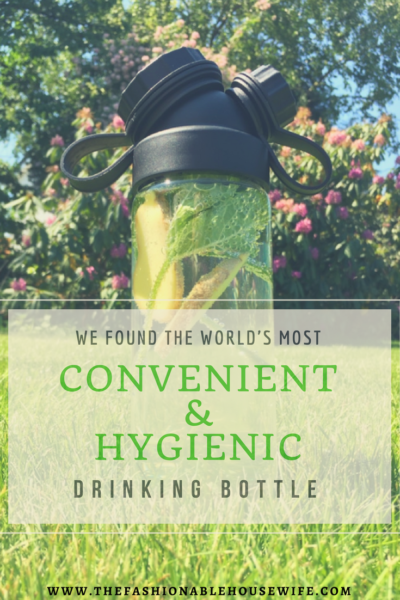 We are confident that once you try JuNiki’s, you’ll agree that it is indeed the world’s most convenient and hygienic drinking bottle available on the market today.